So for the first six months, you’ll get unlimited data (of course their Fair Usage policy applies), province-wide calling, Canada/USA MMS/SMS and their Call Control package. The fine print says this promo is available for Pay After and Pay Before customers. To be eligible, you need to port your existing Mobilicity number to WIND and activate on a WIND 25 or WIND 35 plan. The offer ends on January 26, 2015. 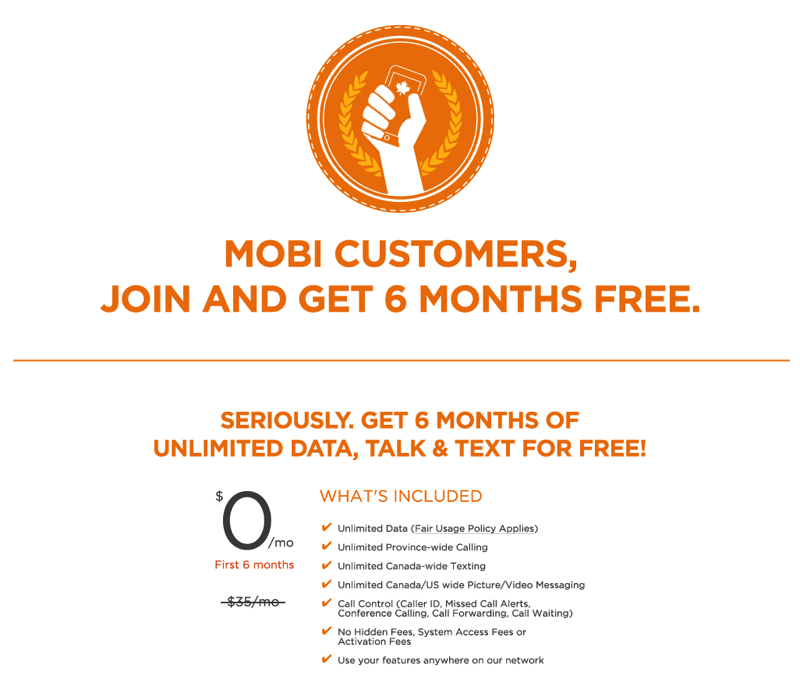 WIND Mobile offered a promo back in December also targeting Mobilicity customers, but this one seems to be much more aggressive, offering up to $210 in savings. I know there are lots of unlocked iPhone users on Mobilicity’s network. Given Mobilicity’s current dire financial situation (their grace period from creditors expires on Jan. 30, 2015), switching now is what WIND Mobile wants you to do. But of course, you’re best to check WIND coverage in your area first.